We are pleased to offer quality collision repair services at our Manteno factility, which has been in operation since 1976. Our business standards are quality, honesty, and integrity with an emphasis on pleasing the customer every time. Fixing the person as well as the car. We are located 4 miles north of Bourbonnais on US Rt. 45-52. Office hours are 8:00am until 5:00pm Monday through Friday, and Saturdays by appointment. Call: (815) 468-8873 or fax: (815) 468-8814. Please call us at (815) 468-8811 for towing service after business hours. 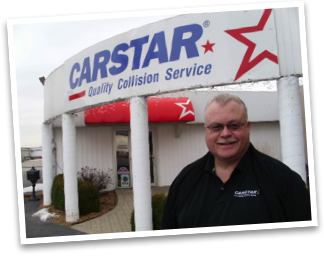 Mallaney's CARSTAR is proud member of the Automotive Trades Association, The Automotive Services Association, and is an I-Car Gold shop. We take pride in providing high quality collision repair and superior customer service. Our goal is to provide a convenient, hassle-free repair.